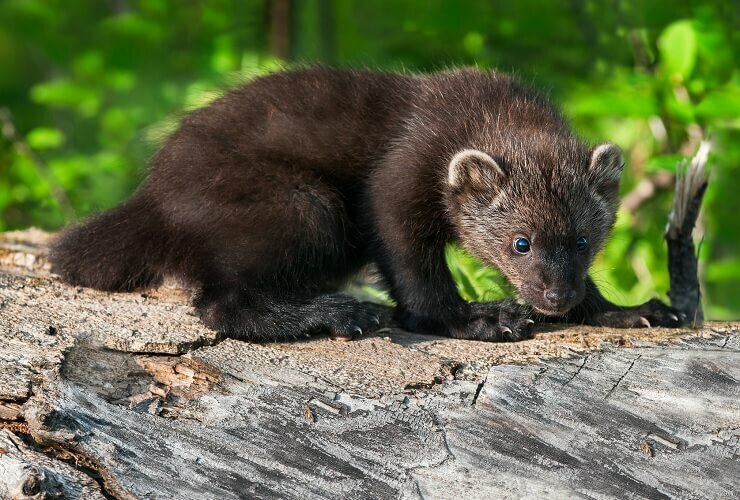 Fearless, vicious, sneaky and deadly; this is the common perception of a fisher cat. 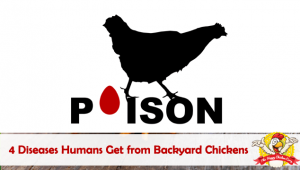 While some of this is true, we are going to take a look at this solitary creature and then assess how you can best protect your chickens from predation. The native Indian people admired the bravery and ability of this solitary hunter in their native tales and imagery. Known by the Indian names of uskool, pekane, or wejack, depending on the locale of the tribe, the fisher cat was revered as a good, brave and usually as a hero. 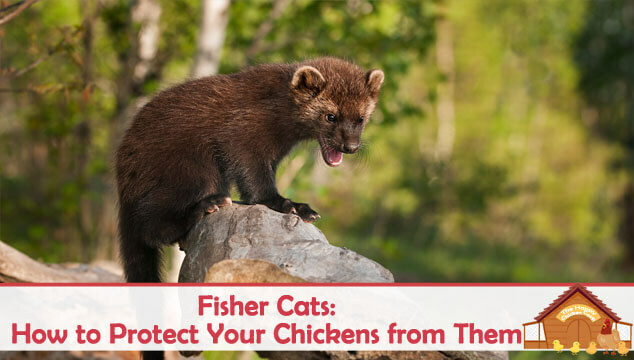 In this article we discuss the fisher cat and how it normally attacks backyard chickens, we will then explain the best ways to prevent attacks. A fisher cat (Martes pennanti) is a member of the weasel family – along with minks, otters and pine martens. 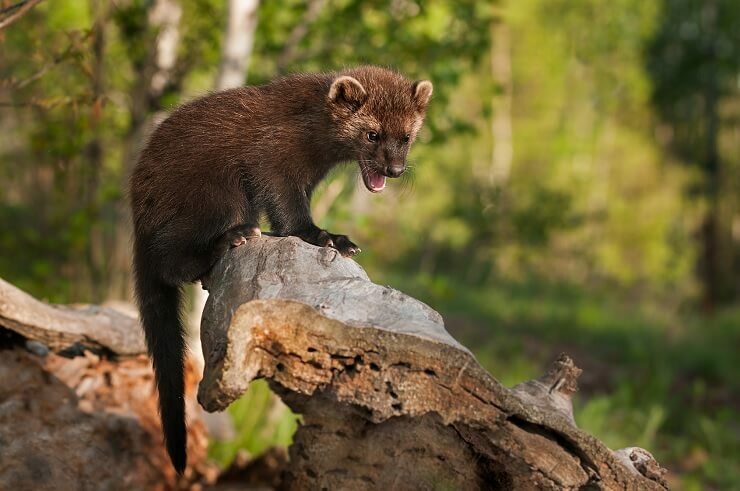 Despite the name ‘fisher cat’, it is not related to ‘Fluffy’ or ‘Tom’ – nor does it eat fish! They are generally solitary animals except during mating season. Fisher cats can grow to around 2½ feet long and weigh between 4½ – 12lb; so it’s not a huge animal, more like a house cat size. They have a very dense dark brown fur which is lighter around the head and neck areas. Fur color can vary from one locale to another. They are bold hunters of many species – chickens are one of those meals. They are smart and very fearless, and have been known to hunt and kill porcupines. There have been reported occasional rare instances have entered houses to kill small cats and dogs – these reports remain unconfirmed. This type of attack would be exception as fishers usually stay well away from human habitats and open places where they could easily be caught and killed. What Do Fisher Cats Eat? Although they are mainly generalist eaters, they will easily hunt down squirrel (favorite), chipmunks, mice and beavers. They will also eat berries and nuts and even carrion if necessary. Chicken is of course on everyone’s shopping list, but attacks on coops are fairly rare. Free range chickens that are allowed out to woodland edges are likely targets. To put it in perspective, your flock members are more likely to be killed by raccoon, foxes and coyotes than fishers. They used to be found over much of the US and Canada, but they were hunted almost to extinction. With assistance from the Parks and Wildlife services, they have been re-introduced to many of the northern states and parts of Canada. States such as Maine, Massachusetts, New Hampshire, New York, Washington, Montana and Michigan all have healthy fisher populations now. They are also found in Quebec. Their favorite areas are riparian woods and forests where they can hunt and travel without fear of discovery. They can range for 3-5 miles in their hunting territory. The favorite times of day for activity are dawn and dusk, which makes them crepuscular creatures. They can climb trees very well, but rarely do so, preferring to hunt on the forest floor. They have ankle joints that can rotate almost 180 degrees, so they are one of the few mammals that can come down from a tree head first! How Do Fisher Cats Normally Attack Chickens? As we have noted, a well-protected coop is uninviting to a fisher cat. 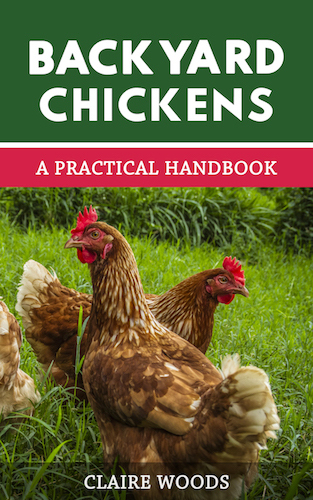 They will not usually waste time on ‘staking out’ a coop to learn the routine of the occupants (as foxes and raccoons have been known to do); they prefer to hunt by stealth and cunning. However, if your coop has areas that are weak in defense, they will be exploited – by all the neighborhood predators. Windows or vents without sufficient protection are a favorite entry point; fishers are very nimble and climb well. They are small and flexible, so smaller entry points pose no problem for them. Be sure to cover your windows and vents with ½ inch hardware mesh and attach carefully to the frame. Accidentally leaving coop doors or windows open at night can tempt them in too, so be sure to lock up at night. Sometimes if I get distracted locking up at night, I have been known to do three checks of each coop for safety! High wire fences around the run and coop are a good deterrent, especially if you run a ‘hot wire’ at the top. Again, hardware mesh should be used for the bottom three feet of the run area. Sharp teeth and claws have no difficulty in chewing or tearing through chicken wire. 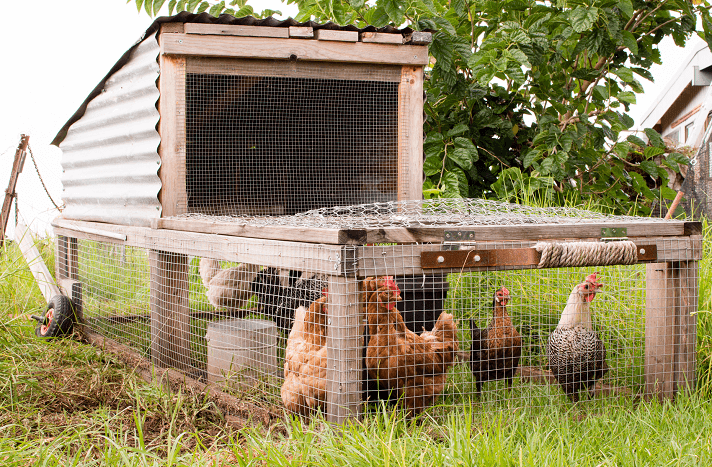 Remember: Chicken wire keeps chickens in – it does not keep predators out! Remove any ‘cover’ within 50 feet or more of your coop. By increasing the visibility around your coop you are making the area less attractive to predators. Trim any trees or overhanging branches if you can, to deter climbing. Motion sensor lights at night will also help as a deterrent to a wide array of possible predators. No one likes to be spotlighted at night while doing nefarious deeds. This particular predator loves to hunt at dusk and dawn, so keeping your birds locked up until daylight and having them penned up by dusk will also reduce your risks of attack. 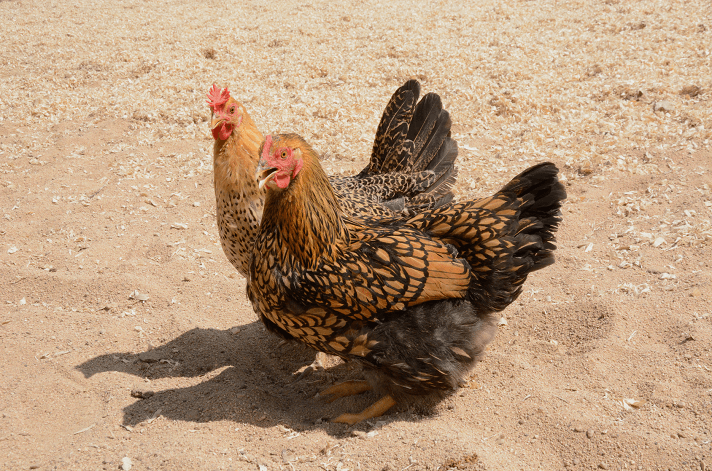 Since fisher cats hunt in the early hours of the morning and evening, these are the hours of highest vulnerability for your chickens. You will be unlikely to catch an attack in progress. Fishers may kill one or two birds, occasionally more if they are trying to cache food for the hard times ahead. They tend to bite at the rear end of their prey and pull the intestines out. Their track is similar to a fox or house cat in having a 4-5 toes imprint and a ‘C’ shaped pad print. 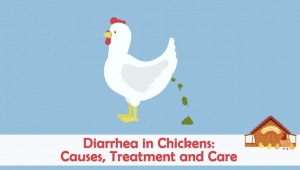 Poop looks very similar to a fox, so it can be hard to pinpoint your chicken killer. Wildlife biologists believe that many kills attributed to fishers are in fact fox or coyote. They are slowly moving nearer to urban areas, so it’s not impossible to see one, but it is a very shy and secretive animal normally. However if you see any of these signs, be vigilant. Keep your hens locked in their coop during the night time and only let them out during daylight hours. In reality, fisher cats are very able hunters, but you are unlikely to be bothered by them attacking your coops and runs. Chickens, ducks or other poultry that enjoy rooting through the edges of woodlands are far more likely to become victims of an attack. I have seen a fisher up close and personal, and I was impressed by the apparent fearlessness of the creature. It did not back away from the path – I did. The encounter was a bit scary for both of us I imagine, but fortunately I have seen no signs of the creature since that day. It is advised to not tangle with a fisher as they will attack if they feel threatened or cornered and can inflict serious damage on a human. If you want a dog to guard your livestock, make sure your dog is able enough to withstand an attack from this creature. Sadly, this little creature takes the blame for attacks that are more likely to be fox or raccoon in nature, but being alert to the possibility of attack is half the battle. If you have all of your security ramped up to deter raccoons, you will almost surely keep fishers away. Although it’s true that some folks have had recorded footage of fishers causing mischief in the run and surrounding areas, these attacks are unusual and infrequent.